Hi There! 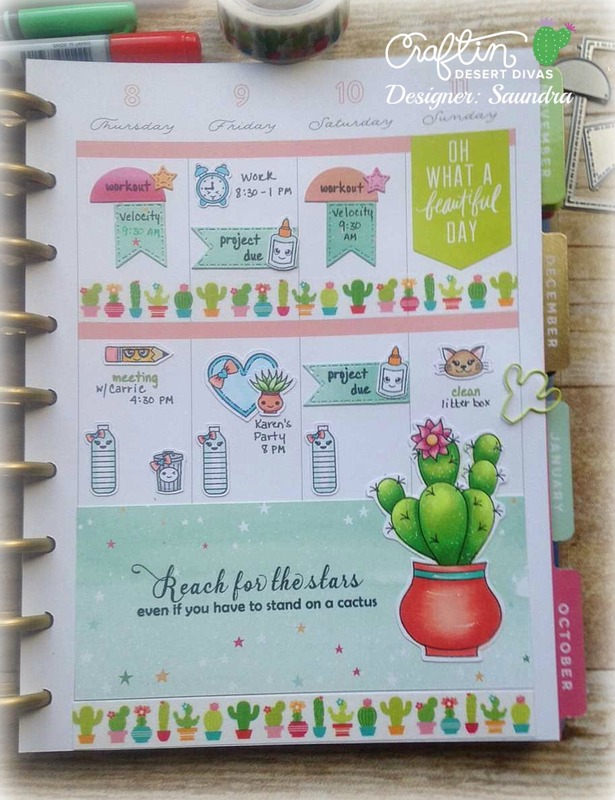 Saundra here to share a weekly spread from my Happy Planner using products from Craftin Desert Divas. I may have mentioned this before but I have so much fun decorating my planner! 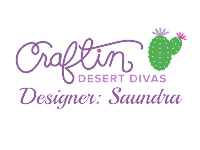 CDD products makes it fun and easy! 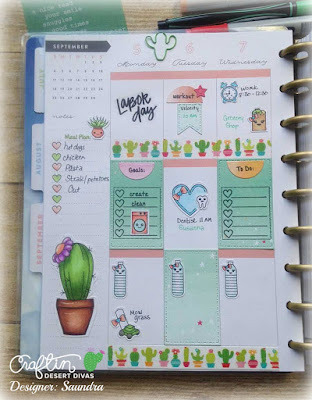 This week's spread was super fun to do. 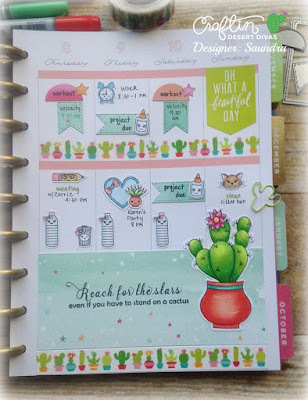 My inspiration came from the cute Doodlebug washi tape. It was just the springboard I needed! 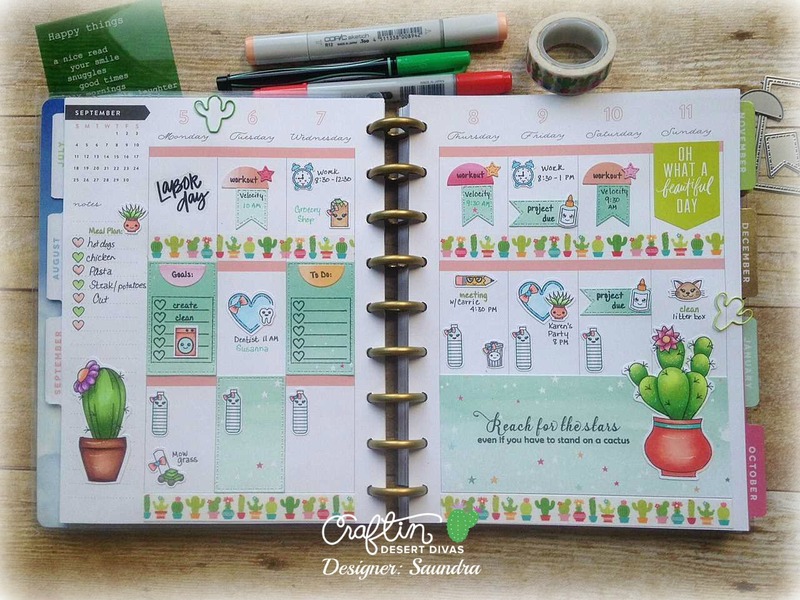 I used Copic markers for all of my images and the CDD stamp svgs really made it so easy to cut out. If you have an electronic die cutting machine you should really give it a try! Did you see that cute little paper clip? 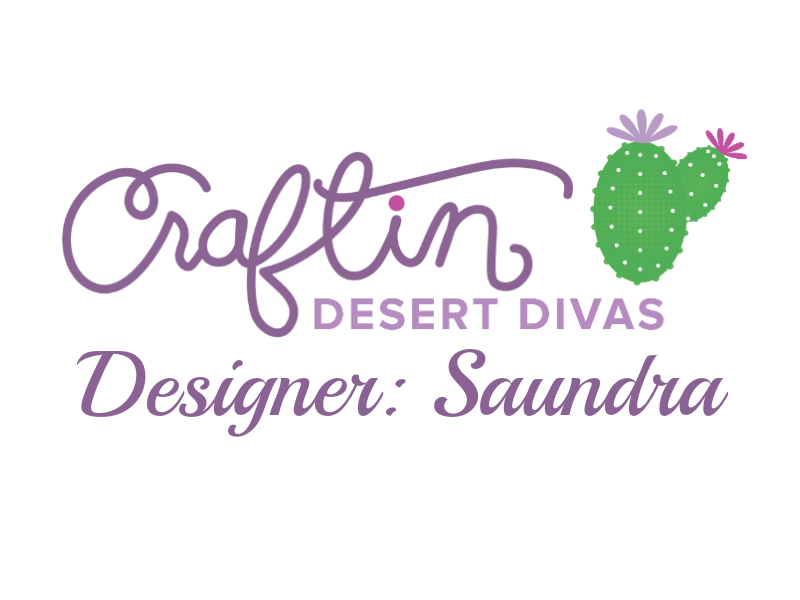 It from Doodlebug Designs, too! 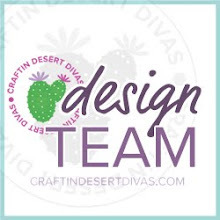 You can find it in the CDD Shop. All of the products I used to create this spread is listed at the bottom with direct links. 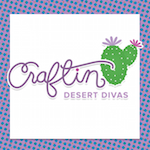 I hope you found a little inspiration with me today and that you'll use your Craftin Desert Divas stamps and dies to create something fabulous!